EMERGENCY ASSISTANCE: Call Campus Police at 610-437-4471, or dial 0 from any campus phone. Dial 911 from off-campus in the United States. Do not use this site to report events presenting an immediate threat to life or property. Cedar Crest College is committed to creating a learning environment dedicated to personal and academic excellence. Members of the College’s learning community, under the College’s Honor Code, pledge to accept responsibility for their actions in all academic and social situations and the effect their actions may have on other members of the College community. As such, Cedar Crest College encourages students to resolve concerns or disputes through direct communication, as appropriate, with the individual or office involved by following relevant College policies or procedures. Please note that Cedar Crest College has applied to participate in the National Council for State Authorization Reciprocity Agreements (SARA). The Pennsylvania Department of Education serves as the “SARA portal entity” for Pennsylvania with the responsibilities defined by the National Council for State Authorization Reciprocity Agreements. Among the responsibilities assigned to the state portal entity is shepherding the resolution of, investigating and resolving as necessary complaints from distance education students who reside outside of the state and who have complaints regarding the institutions that participate in SARA Pennsylvania. 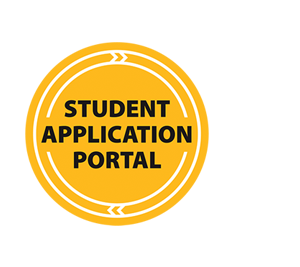 Students not residing in Pennsylvania and who are enrolled in a Pennsylvania institution that operates under SARA Pennsylvania may submit complaints to the SARA portal entity only after completing the complaint process established by the institution attended by the student. Initial responsibility for the investigation and resolution of student complaints resides with the institution against which the complaint is made. Students must exhaust all opportunities for resolution at the institution before filing a complaint with the SARA portal entity. Complaints regarding grades or student conduct violations are governed entirely by institutional policy and are not subject to review by SARA Pennsylvania. Students who have exhausted institutional grievance processes and remain dissatisfied with the outcome may file a written complaint with SARA Pennsylvania within two years of the incident that is the issue of the complaint. Anonymous complaints may not be reviewed. To file a complaint with Cedar Crest College, submit the “Student Complaint Form” to either the Office of the Provost (Robert Wilson, Associate Provost; rawilson@cedarcrest.edu) or the Office of Student Affairs (Kelly Steinmetz, Director of Community Standards and Residence Life; kmsteinmetz@cedarcrest.edu). Complaints must be reported within one (1) calendar year of the incident that caused the complaint. Complaints will be received by the Office of the Provost and the Office of Student Affairs and then forwarded to the relevant College official(s) or office(s) for review. The College will seek to address complaints within twenty (20) business days. Individuals and offices identified as party to a complaint may be notified and asked to provide relevant information. Retaliation of any kind against a student for submitting a complaint, participating in a complaint procedure, or refusing to participate in a complaint procedure is explicitly prohibited. Complaints may be submitted by any Cedar Crest College student (e.g., full-time or part-time, undergraduate or graduate, on-campus or online) who was enrolled at the College at the time that the originating incident of the complaint took place. Complaints will not be accepted by Cedar Crest College under the Student Complaint policy from non-students, including other persons acting for or on behalf of a student (e.g., parents, spouses, children, employers, or friends). Records of all Student Complaints received by Cedar Crest College will be maintained as required by all applicable state and federal regulations or statutes and in accordance with College policies and procedures. Students may also file a complaint with the Middle States Commission on Higher Education, Cedar Crest College’s regional accrediting agency.